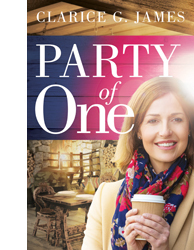 Party of One, a women’s contemporary novel set on Cape Cod. 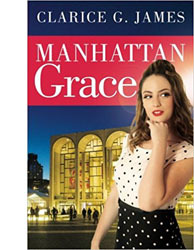 Originally chosen one of five finalists in the 2011 Christian Writers Guild Operation First Novel Contest, Elk Lake Publishing, Inc. released it May 2017. When widow Annie McGee breaks through grief, she falls flat on her face into loneliness. In a bold move for this private woman, she founds Party of One, a communal table for single diners. Outside of these weekly gatherings at a small, local restaurant, she has no intention of getting involved in the diverse lives of the people who join her. 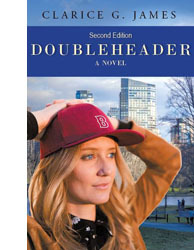 Set in her ways and critical, Annie believes she has all the answers she needs for her life and some left over for others. When confusion and curiosity chip away at her pride, she asks God for a sign, then gets way more than she hopes for. Her self-assurance continues to falter when she realizes the only thing weirder than the quirks of her eclectic tablemates is her fear of losing their company. You may order Party of One here. My husband was dead—I wasn’t—and I hated eating alone. Yet there I stood, a party of one, on the steps of the Ebb Tide diner. With Exxon pumps out front and the motto “Eat Here and Get Gas,” you didn’t expect fancy. The home-style cooking is what kept this place packed. Ned and I had discovered this local favorite after our move from the Boston area to the Upper Cape Cod town of Sandwich. Ebb Tide transitioned into our Friday date-night eatery after the kids were grown and gone. I hadn’t been back since he died. Now, two years to that day, I needed to deal with some things. Coming back here alone was one. The start of the New Year was as good a time as any. I’d had my hair done for the occasion, covering a few grays which threatened to dull my natural nutmeg. I even wore the peacock-blue sweater set and dangly silver earrings Ned had given me. Why? I guess for the same reason I spent time staring out over the ocean rather than the cemetery: Ned would’ve liked it. The place was crazy-busy as usual. The smell of Yankee pot roast and fried clams awakened tasty memories. A fast-walking waitress, plates running up her arms, slowed down long enough to tip her head in the direction of the last vacant table—the one Ned and I had called ours. I took a seat, my seat. With my hands clasped under my chin, I leaned on my elbows and stared across the table at the empty chair. I let my mind drift back in time until the word pathetic chided my resolve. I recovered, then scolded myself. Keep moving, McGee. Self-pity is not on tonight’s menu. Summoning images of us in times past brought a smile instead of tears, consolation in place of sadness. I could feel grief turning. I managed a phony “no problem” before my face turned red, then got up and sat where she pointed. I loathed sitting at that low counter. The hem of my coat dragged on the floor, and the stools always rocked. Even tonight, despite my repeated efforts to control the stubby bugger beneath me, it wobbled and swiveled at will. No matter what expression my face tried out, I found it nearly impossible to look composed on a stool the same height as a toilet. I straightened and re-straightened my flatware and map-of-Cape-Cod placemat while waiting for someone, anyone, to take my order. The more time passed, the more invisible and conspicuous I felt. The internal berating began: How is that possible? You’re either invisible or conspicuous. Make up your mind; choose one or the other. You can’t be both. I wanted to bolt but didn’t because I couldn’t breathe. Then the tears came, and I had to go. With my best interpretation of the term lady-like, I gathered my puddle of coattails from the grubby tile floor, stood tall, and tucked my purse under my arm. Wending my way through the crowd waiting both inside and out, I smiled and nodded as if I’d just dined at the White House. Somewhere between the door and my car, a cause was born. Its natal cry: Power to the party of one! Or, at the very least, respect. With my mission infused with a passion rivaling Patrick Henry’s, I started my car, put it in gear, and pulled out—right into the side of an SUV. A gray-and-blue Ford, to be exact, with the words “Massachusetts State Police” emblazoned on the door. I stopped when my forehead hit the horn. Ned would be so proud. He’d been on the State Police force for over thirty years with a record of zero accidents. The crowd outside the restaurant grew as those waiting inside joined them to watch the show. This almost topped my being spurned as a single diner. Bloodthirsty rubbernecks! I bet they’re hoping the Statie pulls out his gun and shoots me. Part of me hoped he would. He walked toward me. I stiffened. He bent over and peered in my window. I leaned back hard against the seat. Why? Did I think he wouldn’t see me? “You’re not hurt, are you? Hard to believe you could reach a dangerous speed traveling three feet out of a parking space.” He grinned and, more importantly, he didn’t shoot me. I got out of my car and glanced back at the crowd on the steps. I’m sure they were hoping for a gory story to tell, and an SUV sustaining a few dents in its left rear panel didn’t cut it. They mumbled and dispersed while Gabe and I exchanged insurance info and license numbers. He shook his head and laughed, then waved good-bye. Deciding to forgo the whole fine dining experience, I drove home and fixed myself a bowl of cereal. I plopped on the couch and watched Jeopardy. On the plus side, I got four answers correct. On the minus side, the show was a re-run I’d seen the day before. So, Gabe Reilly, huh? I wonder what his story is. Running into Gabe had brought me back to the weeks before Ned died. Not a day passed without one of his fellow officers stopping by. Gabe, nicknamed “The Deacon,” was the last one to visit. I left them alone and stepped into the next room. I heard their voices but couldn’t make out the words. After a while, I went in to see if Ned needed anything. When I entered, I heard them praying. I tiptoed backwards into the hall. After Gabe left, I saw a small religious booklet on the nightstand. When Ned died, I put the booklet in my keepsake box along with our love letters and his watch, pocketknife, and wedding band. I wasn’t sure what had transpired, but Ned’s countenance seemed unclouded for the first time in months. I recalled the last words he spoke to me: “Find God, Annie, find peace.” I thought it was the medication talking. After losing Ned, my whole perception of life was askew. When one of my coworkers whined about her job, I outwardly sympathized. But what I thought was: Do you really believe a bad day at work compares with my husband being dead? When my friend raved about the latest blockbuster film, I nodded and said, “Wow!” Inside, I recoiled. Movies? Have you forgotten my husband is dead? When I ordered a salad at a restaurant, and the waitress asked what kind of dressing I wanted, I said, “bleu cheese.” But what I screamed inside was, Oh God, oh God, my husband is dead! For years, on my way to work—long before Ned got sick—I passed this little old man, walking to the corner store for his morning paper. He was hunched over and needed a cane, yet he strutted with determination. His morning constitutionals inspired me. I searched for him daily and worried when I didn’t see him. On my first day returning to work as a widow, I passed the same little old man. Resentment flared at the sight of him. I felt if he’d only died when he was supposed to, Ned would still be alive. My feelings were senseless, but that didn’t change them—and I didn’t want to change them. Weeks later, when I passed the old man and caught myself smiling, I knew my perception was shifting—if not by leaps and bounds, by tiny steps. I’ve been privileged to read the manuscript! Great story, cleverly written. Hope it is soon published and has wide circulation. It will be especially encouraging and fun for lonely widows.